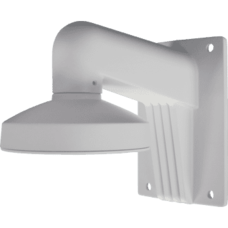 Wall mount brackets of this style provide the most effective wall mounting solution for turret cameras. Turret cameras, when mounted sideways on walls, often suffer from rain droplets running down the lens glass resulting in poor image quality and reduced infrared range. Where mounting cameras under eaves or shelter is not possible, wall brackets allow for cameras to be mounted upside down minimising the impact of rain on the cameras image. 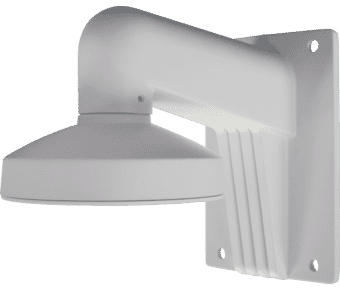 Camera mounting brackets and bases also provide some level of protection to the cable flylead and connectors on the camera, minimising the risk of water ingress and unwanted tampering.